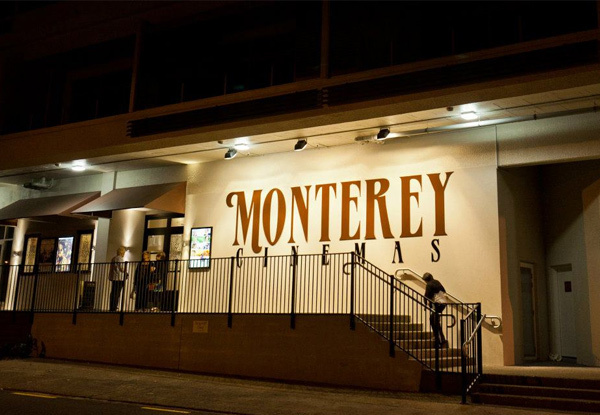 GrabOne is proud to welcome Monterey Cinemas into our stable of wonderful merchants. This boutique Howick movie theatre has been recently renovated and is now managed by the skilled masterminds behind the Rialto Cinema chain. Check out their GrabOne deal here. The history of the Monterey is equal parts iconic and illustrious. Opening to great success in 1929, the following years involved late night dances, bankruptcy, theatre and music – all under one roof. However, after the advent of multiplexes, declining patronage meant that the Monterey closed it’s doors in 1993. It’s hard to imagine that this stunning building was once in a state of disrepair, gutted by fire in 1998 and long abandoned by the once-faithful movie going public. Thanks to the efforts of Kelly Rogers and David Ross, the Monterey has had an incredible overhaul, boasting an upmarket selection of films, right in the heart of Howick. Make your own memories at this cinematic institution and re-live the glory days of cinema. Long live the Monterey! For a comic book tale that’s a little unconventional, Deadpool is your best bet. Dark, twisted, and hilarious, this is a superhero flick that’s not for the kids. Pay homage to traditional cinema and check out the classic film Singin’ in the Rain. Starring some of the greats, this is a fun musical film for all ages. New York is filled with lonely hearts seeking their match. How to be Single is a fun, fearless comedy about the right (and wrong) ways to be single. One of the most critically acclaimed pictures of the year, Carol explores the tale of a young department store clerk dreaming of a better life, and her love for an older, married woman.